Corbeau Seats is the original British Manufacturer of motorsport and road seats. Corbeau have been supplying motorsport seats for over 50 years and are synonymous in the racing industry for providing excellent quality road seats and harnesses to Championship Winning teams. 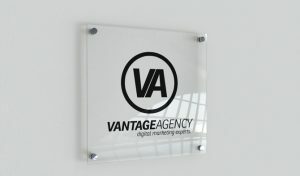 Vantage were approached to completely re-vamp their online presence, from website design to a creating a complex e-commerce platform. We took a critical look at their existing online presence and decided it required a full UX update. From insights, we discovered users loved the Corbeau brand, but couldn’t interact with the brand in a way which fitted the brand. Website users weren’t experiencing the full ‘brand experience’ with their existing website, this was causing a lack of sales. Our mission for the project was to achieve the goals laid out in the initial briefing with Corbeau. 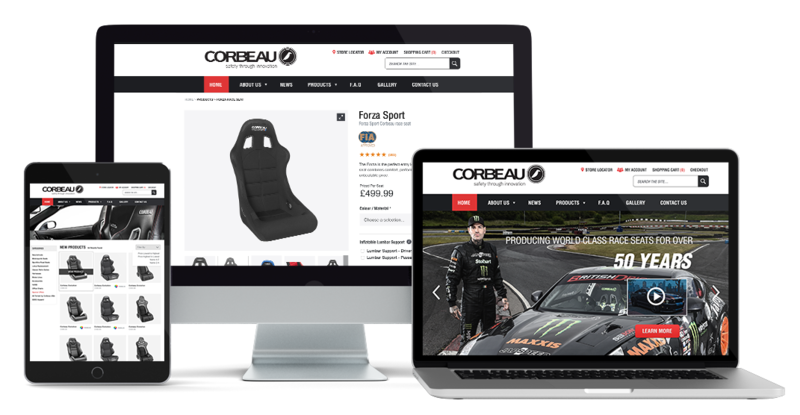 This required strategic planning from digital artwork to custom modules and extensions to create a bespoke, robust, CMS and E-commerce portal for Corbeau customers to easily find what they’re looking for. Our aim was for users who land on the website to convert to sales, we would also then implement re-targeting methods.